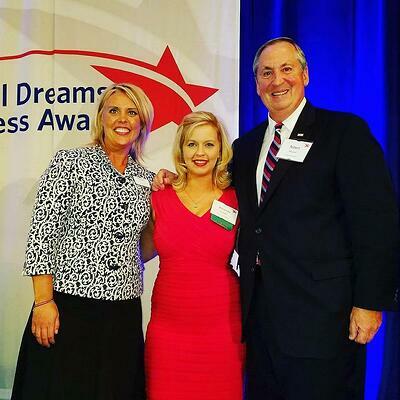 Editor’s Note: Amanda Condon was a member of the 2016 class of Scholarship America Dream Award recipients. We are proud to publish this guest post from Amanda, letting us know where she is now—and what great things she’s doing. I was an honors student in middle school: ambitious, creative and driven. From the outside looking in, my family was a typical rural household that thrived on hard work and education. I was the second of four children and the leader of my siblings. But if the walls of my house could speak, they would sing a haunting tune that no child wants to hear. From the age of six years old, I began suffering silently in the shadows of domestic abuse. School became my safe haven, place of comfort, and escape from the traumatic events occurring at home. Without warning, my life shattered in a moment’s notice. The crippling effects of domestic abuse stole my parents, separated my siblings, and erased any sign of my childhood. In my darkest hours, I made a choice to live free from abuse, no matter the odds. At 14, I forcibly dropped out of school, became homeless, and began wandering the streets alone. Despite my hardships, I knew I would survive. I just wasn’t sure when. My life took a sharp turn with the birth of my first child when I was 17. The experience of becoming a mother shifted me away from street life. I knew better than most that a baby has no safe place on the streets of a large metroplex. At 20, I completed my G.E.D. and entered the workforce to support my child. I spent my twenties chasing dead-end jobs, unstable relationships, and overcoming one disaster after another, and had two more children. By age 27, I was a statistic— a typical representative of the vulnerable population of women who raise children in poverty. I was searching for answers of how to break the cycle. I remembered the many times I tried and failed. Is it possible for someone with no money, employment, or support system to be successful in pursuing postsecondary education? I took a deep breath, sighed, and thought, “If anyone can do this, I can, and if I cannot do this, no one can.” This is my chance to make a change and succeed. Who I am today is not who I will be soon. Nervously, I enrolled in community college and began my massive research project on how to afford college as a nontraditional student with minor dependents. I searched for scholarships in the middle of the night and found Scholarship America. I dared myself to dream and applied for the Dream Award. The Dream Award from Scholarship America presented me with an opportunity to receive funding until the completion of my undergraduate degree. This award was the determining factor in my ability to fulfill my financial requirements throughout the next two years of college. In the world of scholarships, you are not required to have any mentionable credentials, at least not in the beginning. Anyone from any background with the right amount of determination, grit, and tenacity can earn a scholarship. I began to teach others nationwide how to tell their story and how education can build a bridge out of poverty. In 2017, I attended the Dreams to Success Awards Celebration with 11 other dreamers in Washington, D.C. I cannot express how proud and inspired I was to be there. 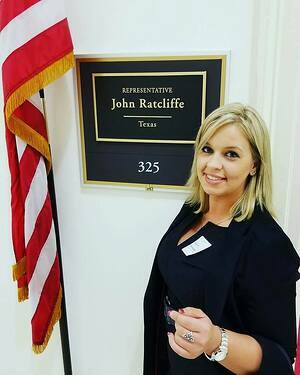 Scholarship America followed me to the Capitol as I received national recognition from my Congressman, John Ratcliffe. The most supportive and empowering organization I have ever been a part of is a source of strength and hope for my future. This month, I am graduating with honors with a Bachelor of Science degree in Emergency Administration Management from Arkansas Tech University. I am debt free, marrying my best friend and closing on my first house I will call home. I am pursuing a career within the non-profit sector that targets making education attainable for every student that dreams of a brighter future. None of this would be possible without the resources and support provided by Scholarship America. My words cannot express the gratitude I feel in my heart for Scholarship America and the sponsors that make their vision come to life. Your contributions not only impacted my life, but they changed the lives of my three children who understand the value of education after witnessing the transformation in me. I ask that you remember my story and share it with your networks to inspire others to dream.